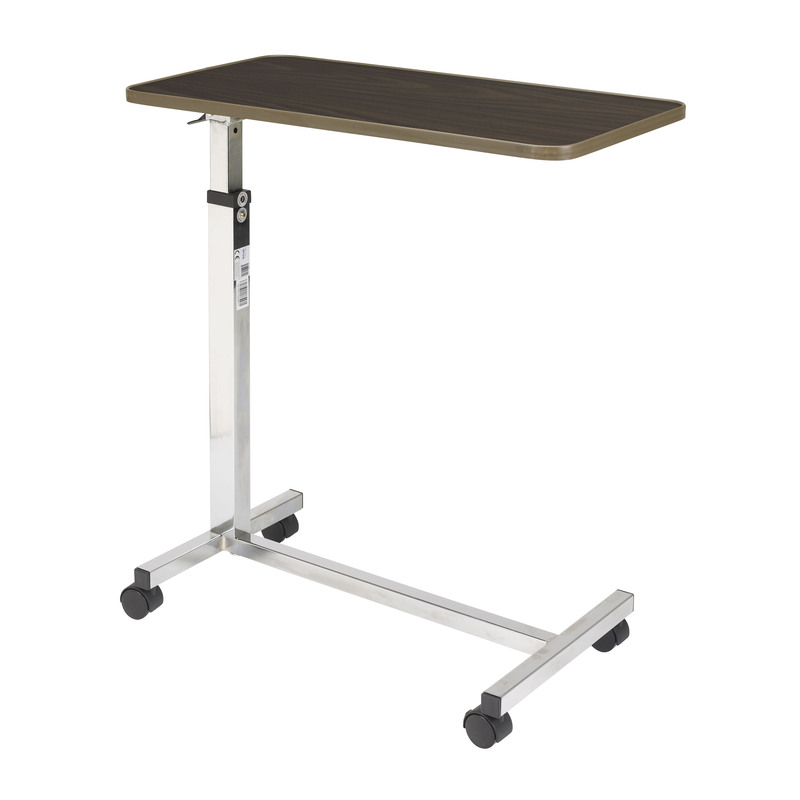 Top can be raised or lowered in infinite settings between 29.5"- 46"
The walnut wood grain low-pressure laminate top on this deluxe tilt-top table by Drive Medical tilts 33 degrees in either direction giving you the ability to adjust it to suit your needs. With the slightest upward pressure the table can be raised or lowered in infinite settings between 26.5"-46" and the top locks securely when the height adjustment handle is released. Chrome-plated steel "H" base provides added stability and security and lead to swivel casters which allow for maneuverability.